"Heaven...the menu options sound divine and those of us who are tour 'veterans' know beyond a shadow of a doubt that Chef David will only deliver THE BEST." You'll want to explore too the themed menus on our Menus page. On the day of your party, we will arrive early with all the ingredients and tools necessary to prepare your menu. 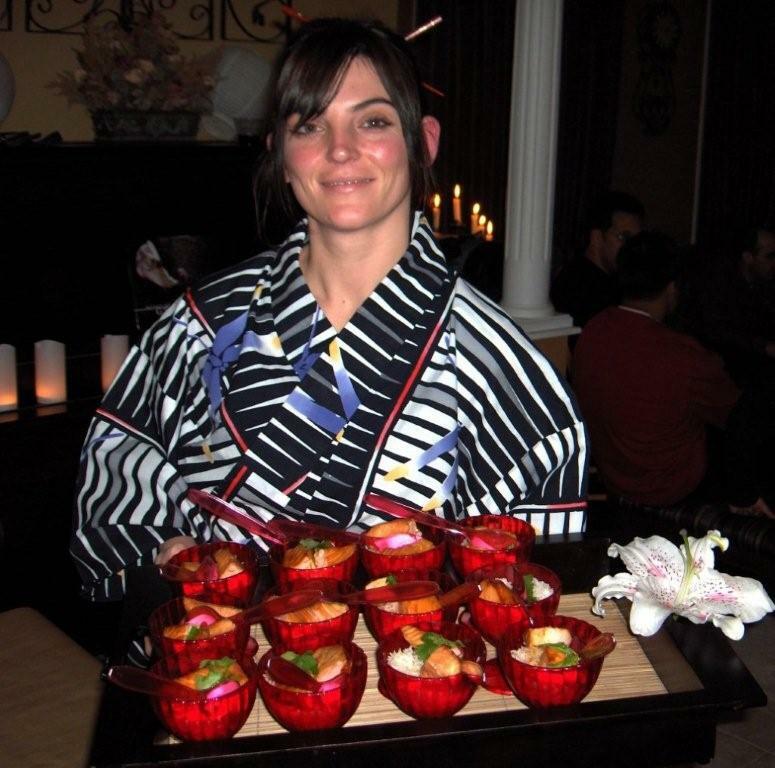 While you enjoy your guests, we will serve and clear each course. After dessert we will quietly clean your kitchen leaving you nothing to do but enjoy rest of the evening. Cocktail reception, wedding or anniversary, showers, special birthdays, life celebrations, company party, business meetings? 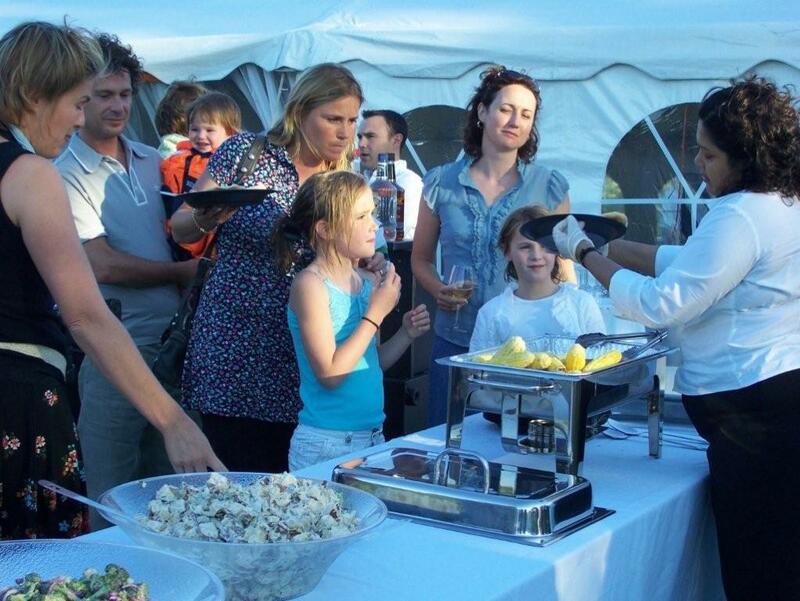 Let us help you organize the entire event from venue selection, theme, décor, rentals, bar and service staff, and of course, our gourmet food. An irrepressible bon vivant, David's charm and creativity makes his hands-on, Interactive Cooking Lessons as memorable as they are informative and enlightening! 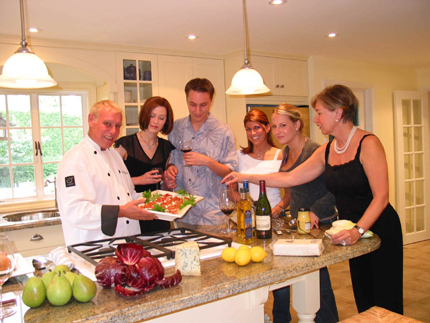 Get together a small intimate group of friends, and come dine and be dazzled in a relaxed, congenial atmosphere as Chef David leads you and your guests through a show-and-tell dinner in your home. These classes are especially popular as a Girls Night Out event!